Fonterra’s Western Star butter has been crowned Champion Butter at the 2016 Australian Grand Dairy Awards, which recognise excellence and innovation in Australian dairy produce. Fonterra Regional Manager – West, Andrew Nooy, said the award is renowned as “an exceptional accomplishment” within the dairy industry and emphasises the quality of Fonterra’s products manufactured at the Cobden site. “We are very proud to be recognised for one of our leading brands, Western Star,” Mr Nooy said. He said the success of the Western Star range was also the result of the high quality milk that the company sources from local farms. “We use cream from our farmers in the western district of Victoria to make our Western Star range – an Australian favourite synonymous with superior quality and loved by consumers and chefs for its great taste,” Mr Nooy continued. 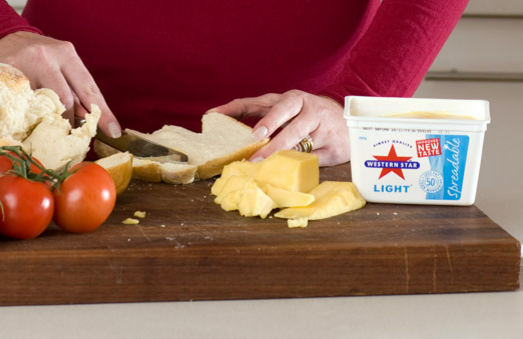 Western Star butter has won multiple awards in the industry over the years, including previous awards won at both the Grand Dairy Awards and DIAA Australian Dairy Product Awards.